Pâtisserie Jessica is recalling par Sophie! 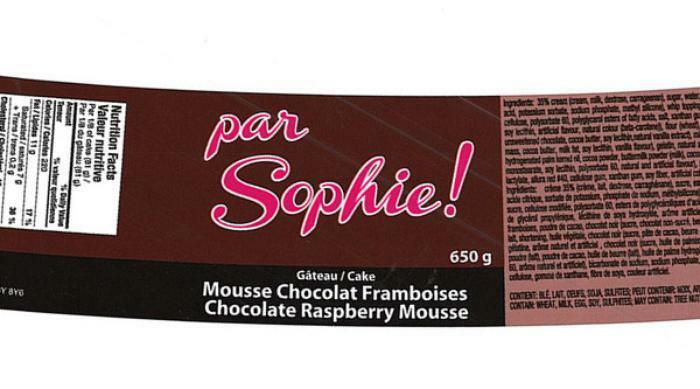 brand Chocolate Raspberry Mousse Cake from the marketplace due to norovirus. The main symptoms of norovirus illness are diarrhea, vomiting (children usually experience more vomiting than adults), nausea and stomach cramps. Most people feel better within one or two days, with symptoms resolving on their own, and experience no long-term health effects. There have been no confirmed illnesses associated with the recalled product. Customers who purchased the recalled product should not consume it, but throw it away or return it to the store where purchased.